still on vacation in the oil-stained gulf. luckily i planned ahead and prepared posts so that you don't forget about us. if my some miracle you are actually looking forward to the finale of the "story of us" video, don't hate on this post, because it's coming tomorrow. ugh. NOT in love with this. i was going for a strawberry stencil in unusual colors (its purple and bright yellow) but it kind of looks like a cracker barrel peg puzzle with a crown on its head instead. my BFF (big fat fail). not sure if i can actually bear to make her wear this. 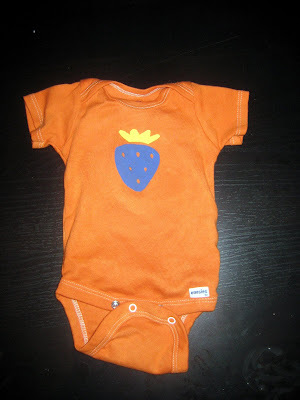 i may applique over it so as not to waste the pretty bright orange onesie. first batch of babylegs: finished! they are socks no more! she now has 8 pairs of colorful leg warmers waiting to ensconce her tiny lil' legs upon arrival. 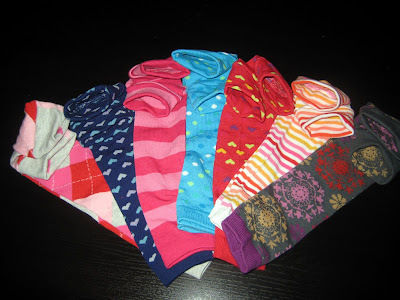 we won't discuss the fact that i have since bought about 10 more pairs of socks so i will need to make those as well. luckily this helps my goal bigtime since each pair counts as a daily project. first ever dress attempt! ok i love the fabric and i got the pattern from my 101 one-yard wonders book. i actually went completely off the reservation at some point and totally jacked up the instructions so i had to make the entire second half of the project up as i went. it's a bit whack in the back, but luckily it's the back and the pattern is busy so it's hard to tell. oh man, i love this crap! upcoming: bloomers, skirts, shoes (?) ruffle-bummed onesies and more dresses! I love ALL OF THEM!!! Including the strawberry onesie! I knew right away what it was! And I love the dress fabric...and where were you when I needed cute stuff for Madison's photo shoots??? those baby legs are about 20x cuter than any I have seen in stores/online. You are so talented! 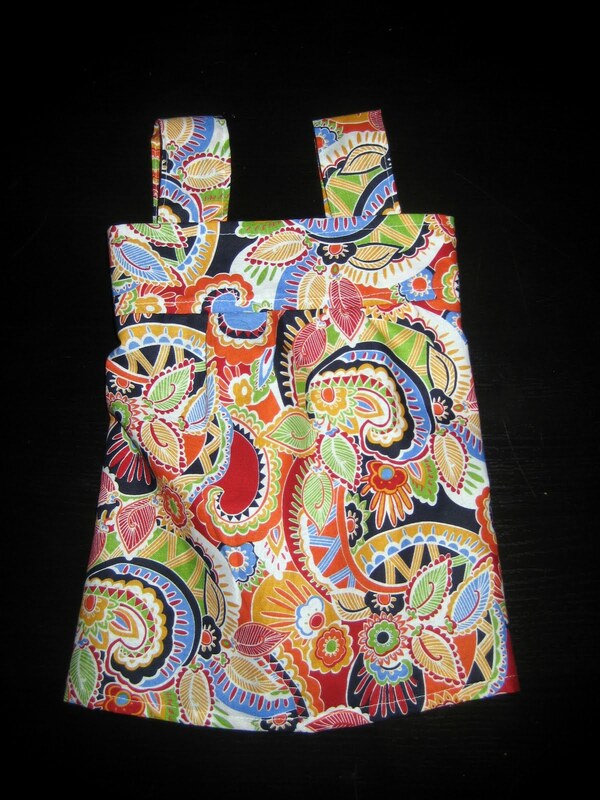 Your little lady is going to be one stylish baby! You know I love that dress pattern. do not advertise my onesie there are better things to come. you just wait. Adorable stuff--got some additons from your mom-in -law too!